Bahmani-Oskoee, M., & Fariditavana, H. (2016). “Nonlinear ARDL Approach and the J-Curve Phenomenon. Open Economies Review, 27, 51-70. Bahmani-Oskoee, M., Chang, T., & Ranjbar, O. (2016). Asymmetric Causality using Frequency Domain and Time-Frequency Domain (Wavelet) Approaches”. Economic Modelling, 56, 66-78. Bahmani-Oskoee, M., & Hegerty, S. (2009). “Purchasing Power Parity in Less-Developed and Transition Economies: A Review Article. Journal of Economic Surveys, 23, 617-658. Bahmani-Oskoee, M., & Nasir, A. (2002). Corruption, Law and Order, Bureaucracy and Real Exchange Rate. Economic Development and Cultural Change, 50(4), 397-404. Bahmani-Oskoee, M., Mohtadi, H., Shabsigh, G., & (1991). Exports, Growth and Causality in LDCs: A Reexamination. Journal of Development Economics, 36, 405-415. Bahmani-Oskoee, M. (1986). Determinants of International Trade Flows: Case of Developing Countries. Journal of Development Economics, 20(1), 107-123. 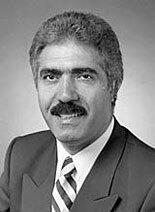 Bahmani-Oskoee, M. (1985). Devaluation and the J-Curve: Some Evidence from LDCs. The Review of Economics and Statistics, 67(3), 500-504.